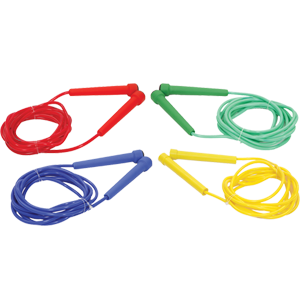 We offer a wide range of Jump Ropes, which helps the player to increase his strength and flexibility.We take pride in creating safe, durable sporting equipment that provides our customers with years of high performance. 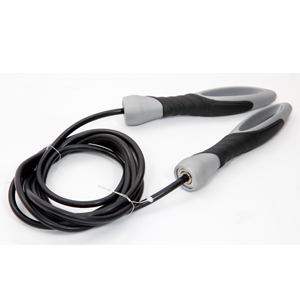 Professional Ball bearing • 4mm x 9' long Steel cable is PVC coated for long lasting use • Foam handles enhance grip and offer comfort • High speed ball bearings for smooth rotations . 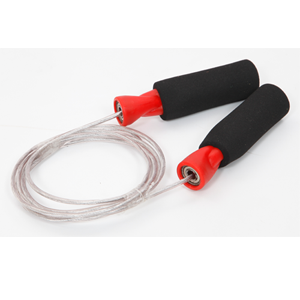 Super Jump Rope PVC coated plastic handle 6mm x 9' long PVC rope with Ball bearing. 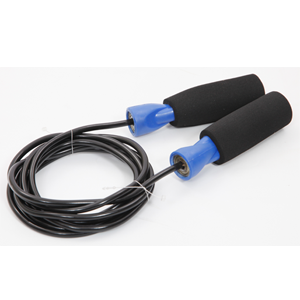 Professional Ball bearing 6mm x 9' long PVC Rope . 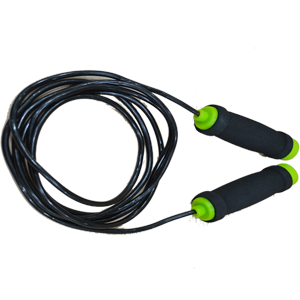 3mm Plastic coated steel wire • Ball bearing nylon handles for fast rotation • Perfect for athletes of all levels including crossfit, MMA, Boxing & all others. 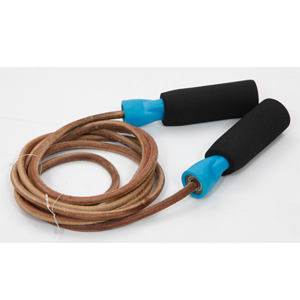 5mm Licorice rope with plastic handles. 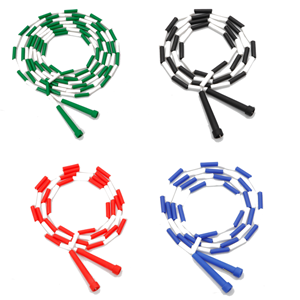 • Available in 6',7',8',9',10',16' & 32' lengths • Various colour available. 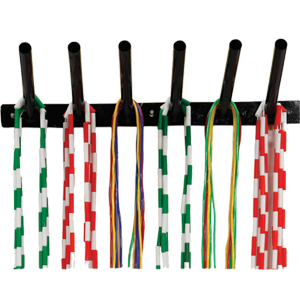 Nylon ropes with alternate colour beads • Available in 6',7',8',9',10',16' & 32' lengths • Various colour combinations available. 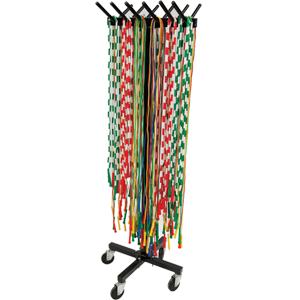 Wall Mounted Unit With 5 Steel 10" Long Pegs • Holds Many Ropes To Save Space . 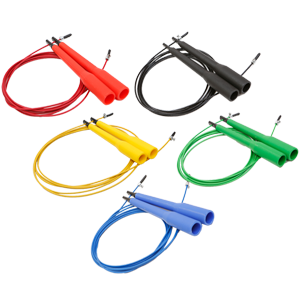 Made Of Powder Coated Steel Tubing • Holds More Then 200 Ropes • 65" X 23" X 23” .